Choose a Softer Footprint...and Save $5! Whether they’re on the road for leisure or business, travelers are increasingly eco-conscious. In addition to a comfortable and memorable stay, they also want to rest easy knowing that indoor air quality is healthy, cleaning and laundry chemicals are safe, and that they are helping to protect the environment by decreasing pollution and carbon emissions. Around the world, hotels are responding with more sustainable options. Ten years ago, very few hotels offered green housekeeping programs. Now they are the norm, and a majority of guests choose to participate. Programs range from the basic “hang your towel to reuse” policy, all the way to watershed protection and habitat restoration. 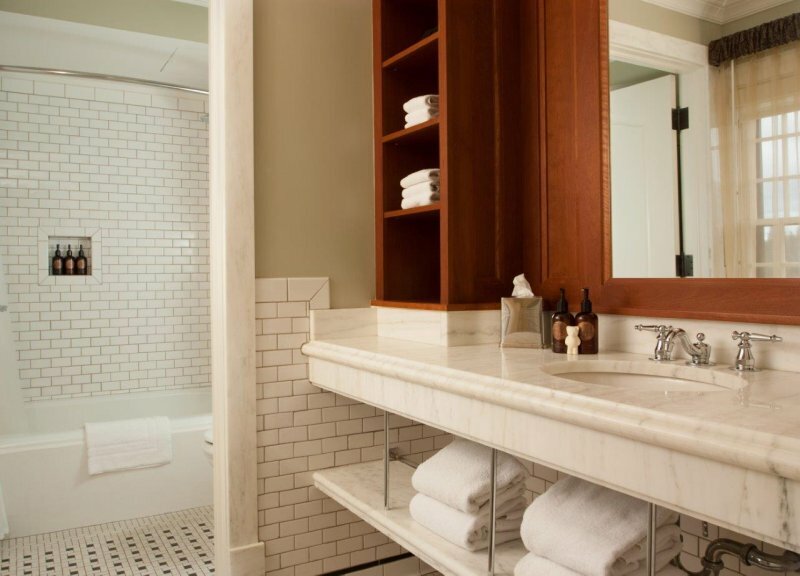 Building on a solid foundation of existing in-room environmental programs, Yellowstone National Park Lodges has created the Our Softer Footprint Green Housekeeping Program. This program aims to provide our guests with an incentive for opting out of housekeeping services during multiple night stays. In doing so, the program helps to save resources by reducing the water required for linen and towel laundering and lessening the amount of cleaning products needed for daily maintenance of the guest room. This program supports Yellowstone’s sustainability goals while providing our guests with a tangible way to reduce the environmental impacts resulting from their stay. Additionally, for every night of their stay, we will discount the room rate by $5 as an added incentive to join us in our environmental efforts. To take advantage of the Our Softer Footprint Green Housekeeping Program, guests will need to indicate their preference when they check in at the Front Desk and will be given a special hangtag to put on the outside of their guestroom door to show that they’re choosing a Softer Footprint. In addition to giving guests the option of forgoing housekeeping to conserve energy, water, and chemicals, Yellowstone National Park Lodges feature bulk amenities to reduce waste, sorting stations to facilitate recycling and composting, energy-efficient CFL or LED lights, and water-saving showerheads and toilets. Housekeeping uses environmentally preferable cleaning supplies, and stocks rooms with Rainforest Alliance certified coffee. Behind the scenes, our maintenance team keeps buildings running smoothly by fixing leaky fixtures, keeping boilers clean for efficient heat exchange, using low- to no-VOC interior paints, and restoring historic furniture. Our state-of-the-art tunnel washer consumes less than two quarts of water per pound of laundry, uses phosphate-free detergent, and reduces energy use by squeezing water out of laundry before drying.